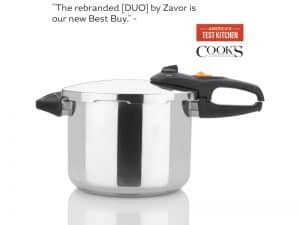 The ZPot pressure cooker is Zavor’s choice introductory pressure cooker. 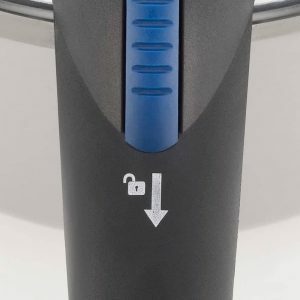 It features sleek handles for easier opening and closing, an automatic lock on the lid and the standard pressure setting (High). 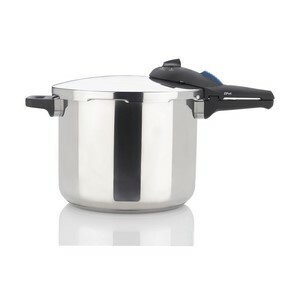 For those considering a pressure cooker, this is the model for you. 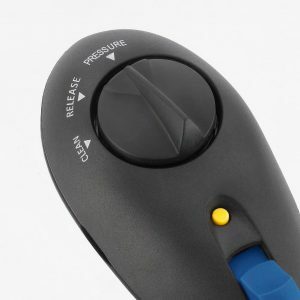 Never sweat when the pressure is on, especially in the kitchen. 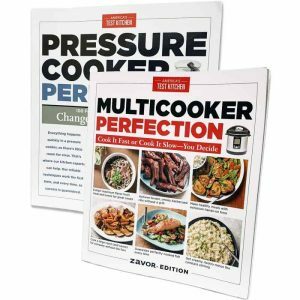 Pressure cookers have been used for hundreds of years to prepare foods from all over the world. 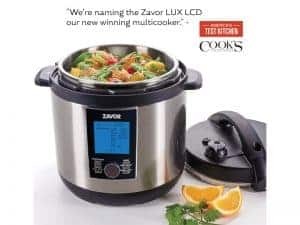 Their main purpose is to cook foods in a fraction of the time while keeping the nutritional content and flavor uncompromised. 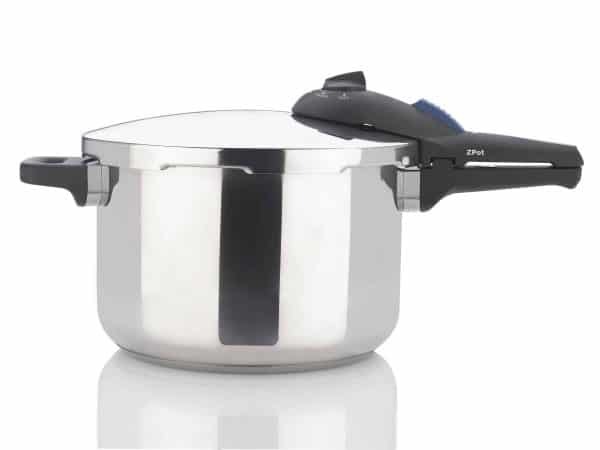 The ZPot is ideal for all meals. From a delicious oatmeal breakfast to a brisket dinner and even cheesecake for dessert! 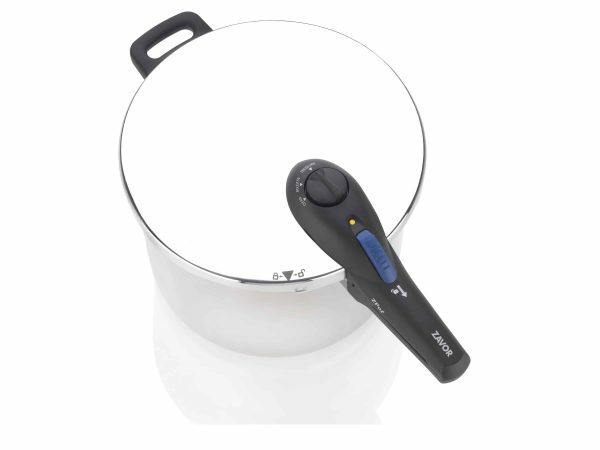 Pressure cookers prepare food 3x faster, saving you time and energy. The end result is a more flavorful and nutritious meal in minutes. 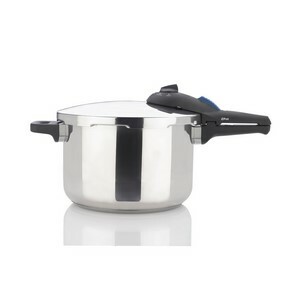 Modern pressure cookers like the ZPot now come equipped with the latest in culinary safety features. 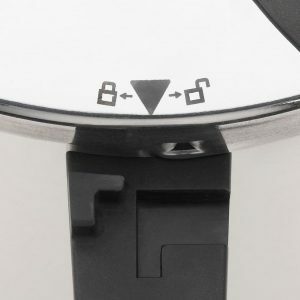 The automatic locking handle and silicone gasket ensure that the pressure stays in the pot while cooking. 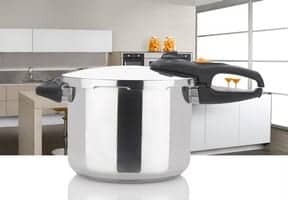 Using a pressure cooker is much easier than you might think. 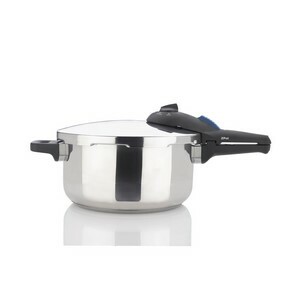 After adding your ingredients and closing the lid, you can let the pot take care of the rest.